In the immortal words of Bob Dylan, blame it on a simple twist of fate. Nathan and Colleen Roby named their little-restaurant-that-could Simple Twist. And so it seems that the providence of that namesake has carried them into the present with not one, but two thriving locations. The restaurant business is not for the faint of heart. It takes hard work and long hours. But Colleen credits their success to the locals for the passion they have shown for Simple Twist through their patronage, "we opened the first location in Garner in June 2014 and community support helped to make it an instant success." Both excellent service and fresh, unique cuisine choices help to set Simple Twist apart. Colleen and Nate - who runs the kitchen and sets the menu - have developed partnerships with local producers, "we have close relationships with farmers in the area that have brought us all kinds of locally grown produce. We only serve Certified Angus Beef, the best kind of beef you can get. We use high quality ingredients to create delicious meals." It&apos;s this same dedication to sourcing that carries over into the quality of the food. 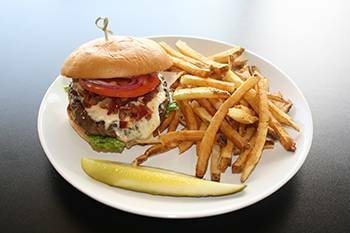 Colleen stated that the restaurant also works hard to keep menu items homemade, "Everything is made from scratch, there is hardly anything in the freezer." She points out, "In fact, we converted a large 2 door freezer into a cooler when we first opened since we did not need the space for freezing product." Cool. Customers can taste the love and passion that goes into every bite and they showed their appreciation by showing up. A lot. 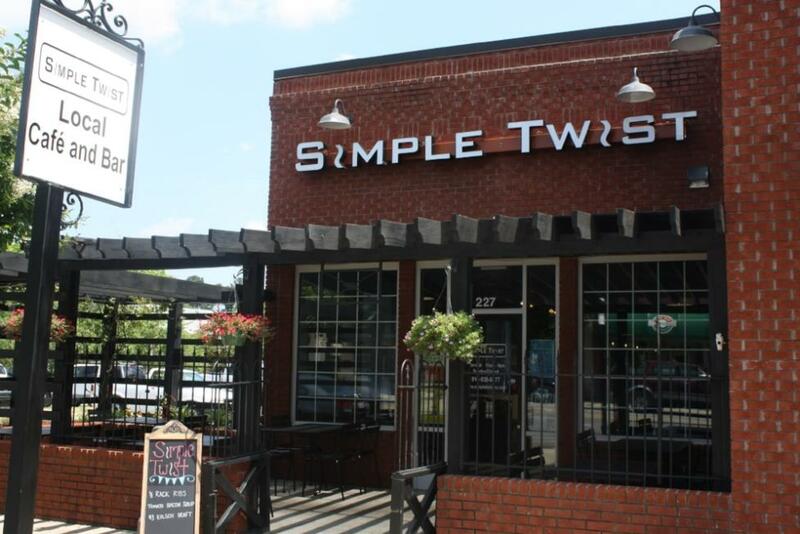 In June 2015 Simple Twist opened a second location here in Smithfield to keep up with demand. Smithfield&apos;s residents and workforce couldn&apos;t be happier. And the restaurant&apos;s business keeps growing. Nathan and Colleen just recently decided to extend their hours at the Smithfield location, "we plan to open Sundays starting August 30th. We will have Bloody Marys and Mimosas served with our regular menu, and will be open from 11AM-4PM." Simple Twist is also working with the Johnston County Visitors Bureau on initiatives that will bring visitors into Johnston County and into Simple Twist. You can read about the Girlfriends Getaway Hotel Package here. One thing I suggest you don&apos;t leave up to a simple twist of fate is a visit to this restaurant. Click here to print a coupon for your first visit. I absolutely love the twisted guacamole. It includes three of my favorite things - avocados, bacon, and bleu cheese. Yum! Click Here to watch Chef Nathan Roby whip up this amazing appetizer.